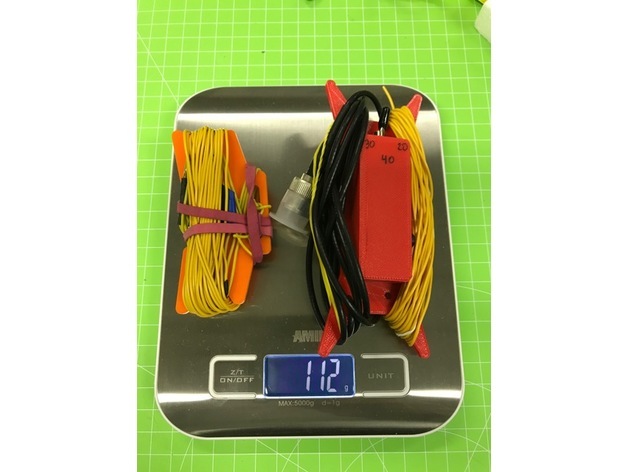 Pacific Antenna has added a new trap dipole design to their lineup. 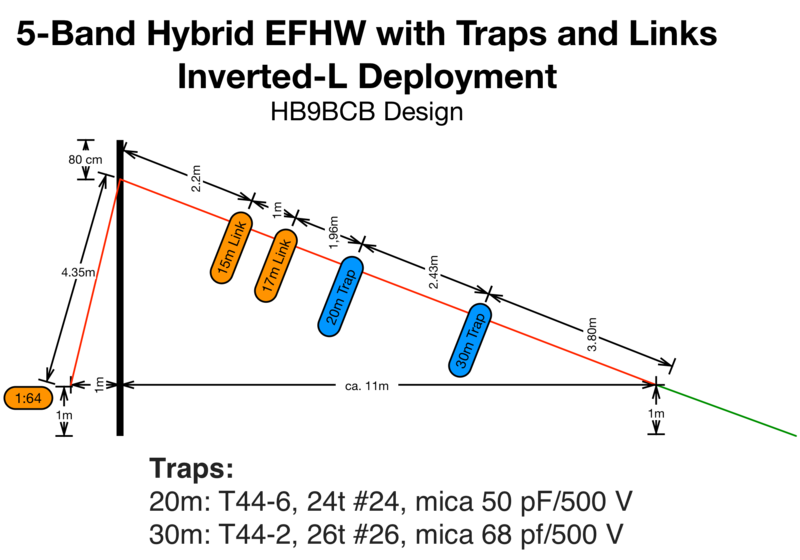 The 20/40m trap dipole that I use frequently has been joined by a 17/30m version. The dual band dipole is approx. 40ft long, and requires no antenna lowering, jumper changes, etc to switch bands. I really like the 20/40m version and it is the main antenna for all of my SOTA activations, usually as an inverted v or dipole with the center insulator supported by a 20ft telescopic fishing pole. The 17/30m version will be great to have when a contest has the other bands occupied. QRP Guys has/is adding a bunch of antennas as well. I know these have shown up on the reflector once or twice already. I have purchased and built (but not tested quite yet) the new Tri-Band Vertical (N2CX designed) and the UnUnTenna (the Plus model adds tuner). Both kits were a cinch to put together, especially the vertical. The UnUnTenna toroid is a bit complicated, otherwise the kit is simple as well. I’m still not a fan of the wingnut “binding post” method of wire attachment they use, although they now drill hole for strain relief which helps prevent wires from pulling out. They could instead including ring terminals and eliminate some of the hardware. I’m looking forward to testing them, especially the vertical. I should have that vertical on the air for ARRL DX SSB. Coming soon is a no tune EFHW (end fed half wave) antenna which should be another simple build. A nice feature about the new antennas is the use of the PCB as a winder, quite a helpful feature. I really appreciate these designs (I just got my tri-band vert one in the mail yesterday, and I plan to build it tonight). One thing I wonder though: why there isn’t some concession to weather-proofness in the designing a field-use antenna? If one of these were deployed and a shower came along, I assume it would no longer work correctly. Is that a reasonable assumption? I don’t think these antennas need to be weather-proofed. 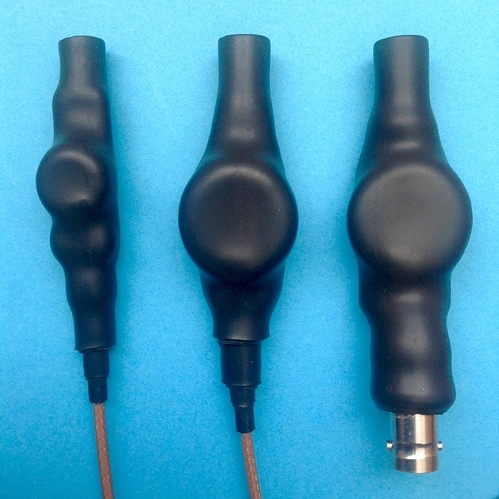 In the short term, the performance will be slightly affected by water and in the long term metal parts might get corroded, but these antennas are meant to be used for a short time, usually in good weather (as not many do activations in pouring rain). If you dry them as soon as you get home, they can be used again and again. I was thinking of using “liquid electrical tape” on parts of the kits I’ve put together. But I don’t think water is that much of an issue, really. That or the liquid electrical tape was my thought too. If water is not a big deal I am not going to sweat it much. But most of the places I am likely to be operating are subject to unplanned afternoon tstorms (ozarks, smokies, mich UP etc). Or use a plastic bag. Light, waterproof, folds away to almost nothing, easily replaced. Surely this can be forgiven in the context of a pursuit that involves porting an RF device to the top of a hill to communicate with people. Plastic bags are ubiquitous and quite water proof. Doesn’t look as cute as Martin’s 3d printed case. But I haven’t got a 3d printer and do have lots of bags. I knew the qrpkits antenna was coming. Or use a plastic bag. Think about all those dolphins, turtles etc. If Dolphins are so smart why do they keep getting caught with dumb Tuna? To get back on topic… remember you can tune an aerial but you can’t Tuna fish. Actually, I am pretty confident that the most recent EFHW Hybrid (traps + links) antenna described by Heinz, @HB9BCB is very close to the best of SOTA antennas. It uses traps for no-frills tuning for 40, 30 and 20m, and two links for 17 and 15 m and thus covers all MTR-5B bands. In an inverted-L configuration, it is rather compact and easy to set-up, independent of the quality/type of ground, and very lightweight. It can be used with lightweight carbon-fiber masts without detuning. The inductances of the traps have a moderate loading coil effect, thus the total radiator length (+ cord) is ca. 16m. The included 1:64 matchbox makes it directly usable with MTRs and other QRP radios without a tuner. Many of the other antennas recently discussed in this forum, IMHO, are inferior to this design. For instance, the QRPguys trap dipole is heavier and covers only two bands, the “no tune end-fed” is single band, etc. I really tried many different SOTA antenna designs in the past two years, and Heinz’ design is so far the best of all worlds. The only reason I am continuing with my experiments is that (1) it is fun and (2) the inverted-L is too big for a few very small (or crowded) summits, for which I seek a robust and lightweight vertical. … however, more Activations than I’d like seem to end that way. This side of the pond you live with the perpetual threat of rain, and even if it isn’t raining as such you are often in cloud and getting wet with condensation. Yes, this fact I had to consider in the design of my EFHW impedance couplers, in order to also meet the requirements of typical all-weather SOTA enthusiasts, such as e.g. Jürg HB9BIN, hi.